Our snowboarding boot dryers will keep your snowboarding gear warm and dry. 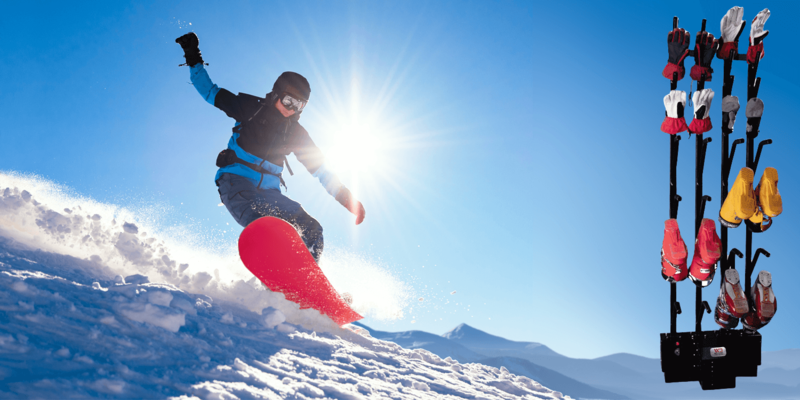 Snowboarding trips are always more fun when you can spend more than one day out on the slopes. The feeling of shredding fresh powder in the mountains first thing in the morning is almost indescribable. At the end of a long, exciting and exhilarating day of riding the slopes, rail grinding or even trick riding, your gear is bound to be soaked in sweat and snow. To ensure that your boots and gloves are as ready for another day of cruising and carving as you are, consider investing in a snowboard boot dryer from Williams Direct Dryers. There is nothing worse than looking forward to another day of “tearin’ it up,” only to find that your boots are still damp from yesterday’s session. In addition to being wet, we are willing to bet that your boots smell as well. Sweat-soaked, moist snowboard boots are a favorite breeding grounds for a wide range of germs, viruses and bacteria. Without the proper drying system, these microorganisms can cause issues spanning from nasty-smelling boots to ringworm and even foot rot! It is possible to mask the smell with deodorizing inserts or sprays, however, these only mask the problem and do not address the funky odor’s root cause. A professionally designed snowboard boot dryer is a must for shredding aficionados. Many individuals are under the impression that they can simply use a fan or hair dryer to get their gear ready for more action. However, using these appliances can actually damage or even ruin your boots. Most hard-shell snowboard boots are manufactured using thermo-setting glue. Applying direct and excessive heat can cause heat deformation, spot burning and cracking. 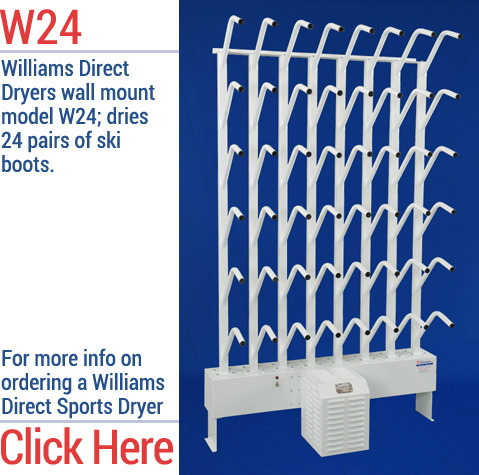 Unlike sketchy do-it-yourself methods that can cost you a brand new set of boots, a snowboard boot dryer from Williams Direct Dryers has been scientifically developed to gently and effectively dry and heat your boots without damaging them. Our snowboard boot dryer racks have both a warmed air drying setting and an ambient dry setting that are equally as efficient at circulating air to completely dry your snowboarding boots while killing harmful bacteria and microorganisms. Imagine pulling on your boots at a toasty 10-15 degrees Fahrenheit above room temperature to give you an extra energy and comfort boost! Our electric boot dryers are easy to use and incredibly affordable. 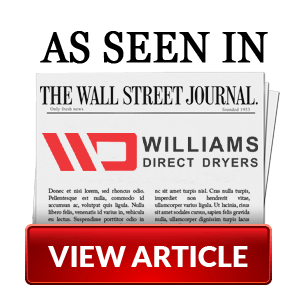 Every Williams Direct Dryer is built in North America and comes standard with a five-year warranty. Our three-way energy management system makes our snowboard boot dryer an efficient and cost-effective way to dry your footwear and features a 24-hour wall timer. Combination boot and glove dryers are available and each system is CSA safety certified so you can rest assured that your family will be safe when using it. Snowboarders who are tired of dealing with damp, wet and smelly boots should contact Williams Direct Dryers to purchase the most advanced snowboard boot dryer system on the market today. Ask about our custom-designed boot dryers as well!